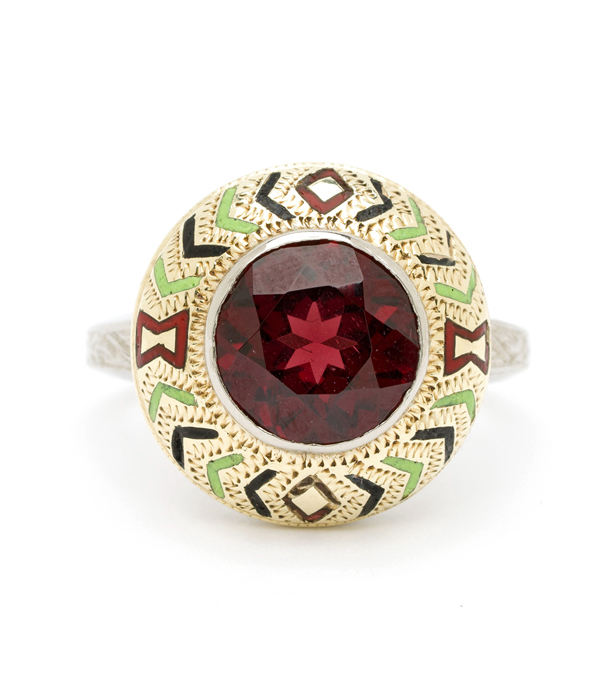 A Boho dreamer's wish come true, this stylish and cool vintage ring will be your favorite accessory this fall! We treasure the serendipitous moment when we find a vintage piece that so perfectly integrates into a modern look, such as this ring does. 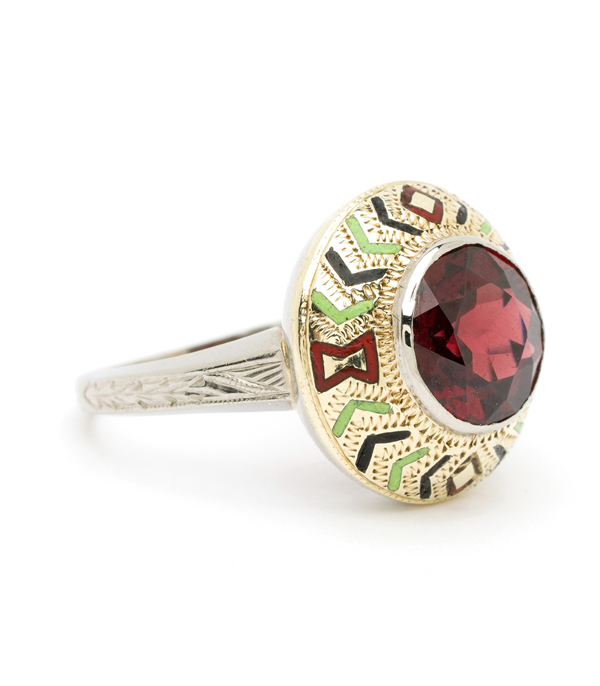 A mix of 14K white and yellow gold, this unique statement ring features a substantial brilliant cut garnet in a rich shade of merlot. 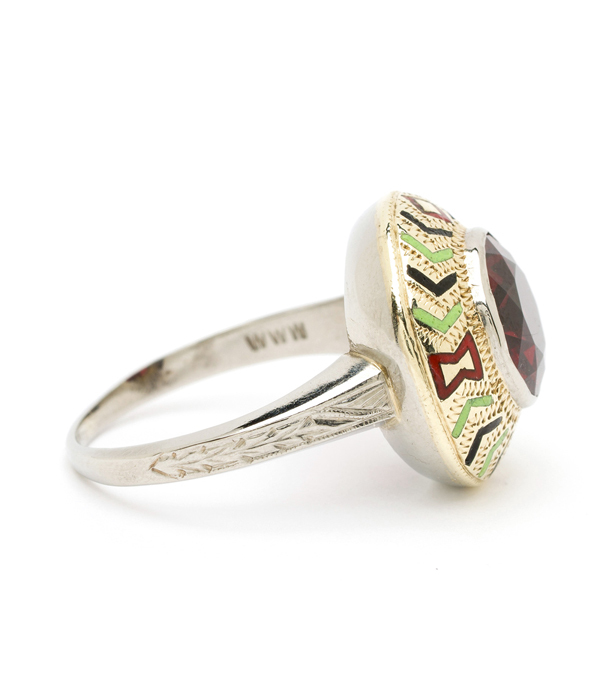 The domed centerpiece is detailed with chevron shaped enamel inlay in a similar wine hue as well as green and black. Statement making in size and with its blend of autumn hues, this vintage beauty is one you don’t want to let slip past! Categories: Retro Jewelry, Vintage Rings.